I just fell into working for the Dogs Trust. I'd been an airhead, doing modelling, and was working for a glitzy PR company. I thought I should be doing something more credible, so I went for an interview for a six-month project to promote the charity. I got sucked into it and became increasingly involved. The past 40 years have been wonderful. 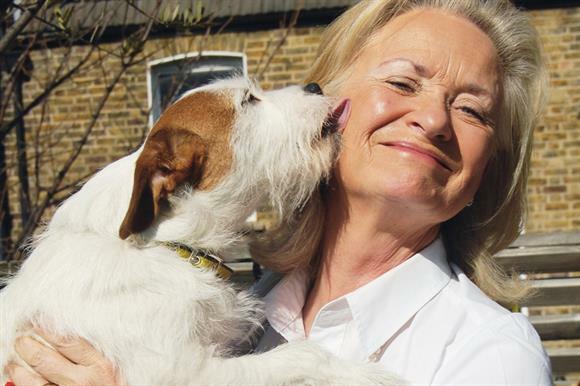 When I joined in 1974, we had an income of £750,000; now it's £76m and we're one of the largest charities in the UK. It's fantastic to have nurtured it from such tiny beginnings to having 20 rehoming centres, making 17,000 dogs happy each year and sharing our experience internationally. Being awarded the OBE in 2003 was amazing, and it has helped to open doors for the charity. I have become close friends with the management team and will miss the wonderful dog rehoming stories. I love the cut and thrust of politics, having been an adviser to Defra ministers and involved in animal welfare legislation. That excitement will disappear, but I will stay on as a trustee of the charity. I feel protective of the slogan that I created: "A dog is for life, not just for Christmas." The charity has trademarked it, but if others use it, that's fine – as long as it's used fairly and prompts people to think about dog welfare. It's in the Oxford Dictionary of Quotations and even David Cameron used it recently. I'll have to keep myself busy in retirement. I'm looking forward to going to the theatre and cinema and spending time with my husband at our house in France. Maybe we'll have time to get another rescue dog.